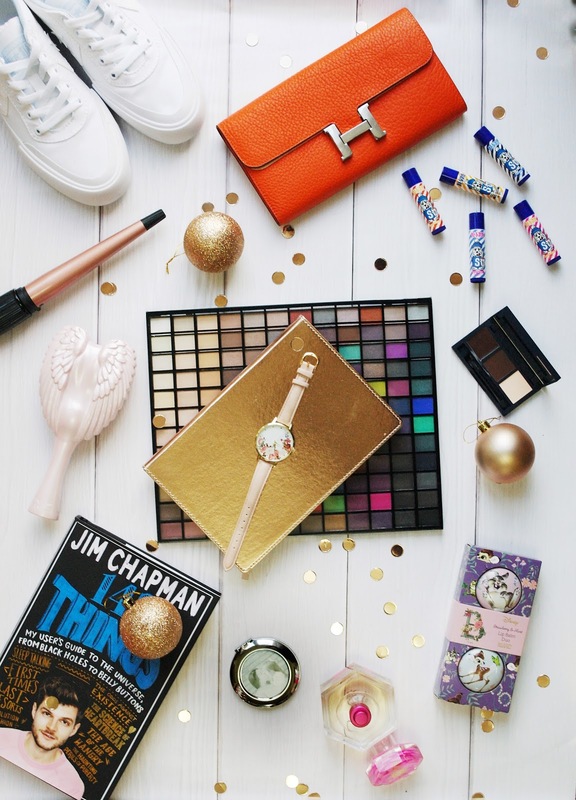 Home / Beauty / Christmas / Gift Guide / Gift Guide: Teenage Girl. Oh yes, it’s that magical time of the year. again. This is our very first gift guide for 2017 and I am so excited to share this one with you. So if you have a teenage girl to buy for then hopefully this post will inspire you. I have to say that I was so eager to want to share this one with you all and it's pretty epic, but hopefully with this cheeky little gift guide buying for teenage girl will be less of a chore. I think my favourite pick from all these amazing products has to be that beautiful colourful Makeup Revolution Ultimate Eyeshadow Palette. I would love to open this little beauty on Christmas day that's for sure, with an incredible 144 matte, satin and shimmer shades to choose from, they certainly won't be short for inspiration for 2018. They will be able to choose from light to dark, or neutral to those bright, bold and beautiful colours everything they will need to create any eye shadow look for any occasion. This palette is normally £16 however, I did find this one is currently selling at £8 in Superdrug, so be quick before you miss out! Another makeup product that I have included in the gift guide for teenage girls is this Eylure London Brow Palette* in the shade Mid Brown. It contains brow wax, powder and a highlighter, as well as a mini angled brush and foam applicator. The aim of the palette is to be everything you need to shade, sculpt and define. The palette is small, it’s matte with the logo on the top and a mirror inside. Perfect! Recently we have been reviewing a couple of high street fragrances and we especially like this Love Lily one from Accessorize. It's a very good combination of Raspberry, Orange, Jasmine and Vanilla, these work so well together to create a scent that is perfect. Raspberry is actually a lovely scent, I think it has to be along the lines of Strawberry, which seems to make everything beautiful. I wouldn’t actually think to put these flavours together but surprisingly it works well. It one of those fragrances that certain scents hit you at different times, with Raspberry hitting you first, then the zesty scent of Orange and then sweet Vanilla. Seeing as it's getting colder and colder what better way to make your teen be prepare for winter by putting some must need essentials under the tree, lip balms. However, you could make them fun? We have seen these Slush Puppie Lip Balm Set* from Mad Beauty, in this novelty tin you get 5 different balms in the traditional Slush Puppie Flavourings including Raspberry, Orange, Lemon & Lime, Strawberry and Cherry. If your teen is a Disney fan then I am more than sure that these oh so adorable Bambi Lip Tin Duo* would be perfect. In this set you get two lips balms one with Thumper in Stawberry and Bambi which is a mint flavour these would be perfect for Autumn and Winter to keep those chapped lips at bay. Now let's talk some fashion picks. Ultimately, you can't go wrong with some converse. I love these Distrito Low Canvas ones especially with the flecks of a lovely pale blue, these would be the perfect addition to any outfit. However if you really want to turn their head and give them something a little luxurious this bright and beautiful Eva Leather Wallet*. The Rosaire Catherine‘s size is perfect and handy to just pop into your bag, I really love how the wallet feels. It's textured, not smooth or rugged but in between the two textures and it's surprisingly light, which I didn't expect. This design comes in 7 different colours: Red, Watermelon, Light Blue, Orange, Elephant Grey, Black and Brown. I'm sure any your teen would love to add this one into her collection. Seriously how gorgeous is this Glam & Style Conical Wand* in Rose Gold and Black? If you didn't know, Rose Gold is a bit of a thing right now, with many teens asking for Rose Gold hues in their make-up, hair colour and bedroom décor. So make your teen smile on Christmas morning by wrapping this amazing conical wand under the tree. This fast heating wand is simple to use and has great results. I have thick long hair, and I only had to hold each section of hair for a few seconds to get a nice loose wave in my hair - If you want a tighter curl then just hold a few seconds longer. The heat protective glove is good to prevent burns, as this does reach 180 degree heat in a short space of time. To go along with these beautiful Rose Gold Conical Wand you could also have this Tangle Angel Detangling Brush which is an innovative design make it easier to manage knotty hair keeping it silky smooth and easy to style. This detangling brush from Tangle Angel has quickly replaced my Tangle Teezer as it actually has a handle! My hair is really thick and long which means it tangles very easily. Suitable for all hair types, this is not only a detangling brush but it can also be used as a blow drying brush because its bristles are heat resistant. It comes in five different colours; Pink, Blue, Pearl, Silver and Black and is possibly the cutest brush design you've ever seen. So way before I made the decision to become a blogger myself, I would spend my evenings watching YouTube videos. I became obsessed with beauty bloggers and finding out the latest beauty trends, watch tutorials and even catch a ramble or two from my favourites. Pretty much since then vlogging has becomes the done thing and now there are so many more amazing vloggers. Quite a few of the bloggers and Youtubers that I watched religiously have embarked on their new careers and into publishing books and one of these is of course Jim Chapman with his brand new book 147 Things a hilarious brilliant guide to this thing called life. A perfect gift for a teen! Especially if they are obsessed with bloggers and vloggers, which many are. I have left the best until last, something a little more personal is always a great way to show you loved one you care. Now there are so many different personalised gifts that you can seek out for your teen, but I think that something that could come in handy, or useful would be a great gift. Just like this personalised Compact Mirror* from Bags of Love. A Personalised Compact Mirror is a beautiful gift, which can feature a treasured photo on the front, the photo is also printed onto a white, sparkly base colour, which will give your image a stunning, twinkly effect, that she will love. Phew we got there in the end. After reading this lengthy gift guide for a teenage girl, I really do hope that I have helped make buying for a teenage girl a little easier? I am sure that you are not short of a few ideas in the hope to inspire you and make their Christmas perfect. 20 comments on "Gift Guide: Teenage Girl." I think I may be a little in love with the Bambi lip tins! These two are so cute, but smell amazing. Thank you Caroline, anything you like in particular? This curling wand is pretty good. Some fab picks here, that palette would be great for a makeup lover! It was a real bargain too, sold very quickly. The personalised mirror is pretty sweet, goes into my handbag so nicely. Oh that's fantastic, I am so glad that we helped! What lovely ideas, I'm sure any teenage girl (or older!) would be delighted to receive these. Oh yay, it's such a funny book. I definitely recommend that one.